Call of Duty: Ghosts was recently released for PlayStation 3, Xbox 360 and PC, and all versions had some issues caused by bugs. Despite some problems in the game, most defects affect the PC version. Check out how to fix some of the most common issues. Before attempting any repair, update the drivers of your Nvidia or ATI video cards because producers may have already released patches to certain problems. In case of random crashes, try closing other programs running along with the game and disable options such as Anti-Aliasing, Filtering and V-Sync menu. 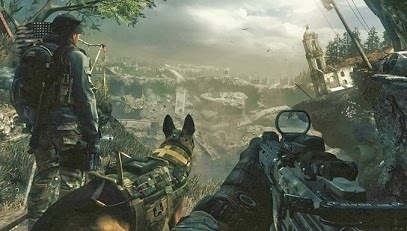 Remember that the Call of Duty: Ghosts requires DirectX 11 compatible video card on board or external supporting DX11, Nvidia GPU as 400 or AMD 5000 series. Many users failed to make the game start on their PCs, and in some cases this is due to the minimum requirements. Call of Duty: Ghosts requires a 64-bit operating system (many players use 32 Bit) and 6 GB of RAM. If your system does not have required Specs, the game will not run and will also not display any error message, which confuses users. Some users report that sometimes their Call of Duty: Ghosts simply stops responding and the game does not re-run. The fix for this is a little strange, simply remove all type of peripherals plugged to USB port of your computer and then reconnect them. Priority process setting can cause strange bugs in Call of Duty: Ghosts. To solve them, press the Ctrl + Alt + Del keys to open the Task Manager Windows. Click the Processes tab and locate iw5mp64_ship.exe. Right-click this process and set priority to "Normal". This should solve several random problems. In one of the updates of the game cause a little problem with the language pack, that has some data incompatible with the servers. 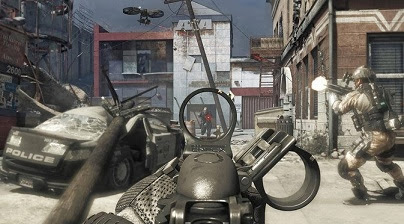 For example, if you bought Call of Duty: Ghosts in English and the language has changed, it will not allow you to connect to multiplayer server. You can fix this by changing the language for the document or changing the language both in multiplayer and in singleplayer. Open the folder where you installed Steam and look for the following folder in this path: Steamapps -> Common -> Call of Duty Ghosts -> Players2. Inside this folder you will find config_mp.cfg locate the file and open it with Notepad program (just drag the file into the Notepad window). Look for a line where is written "seta r_elevatedPriority" 1 "", change this value to 0 and save the file. Again, go to your folder where Steam is installed and open the config_mp.cfg file in Notepad. Locate a line where is written "seta r_multiGPU" "1" and change this value to 0, and then save. If you notice a certain delay every time you try to proceed in the game, open the video settings and disable Sync Every Frame option. It syncs every frame of the game, which can cause some delay at the slightest sign of choking in PC processing. Even on a powerful PC, Call of Duty: Ghosts can cause certain slowness when trying to generate more detailed graphics, apparently because some effects are not well optimized. Try unplugging the following options in the Advanced Video settings: Terrain Detail, Depth of Field, Motion Blur and Distortion. Disconnect Shadows, shadows, also saves a lot of processing, but affects the visual quality. For some users the game graphics get worse even though the settings are set to high. It seems that this is a bug, just open the video settings and change the Aspect Ratio option to "Auto" for the size of your monitor.